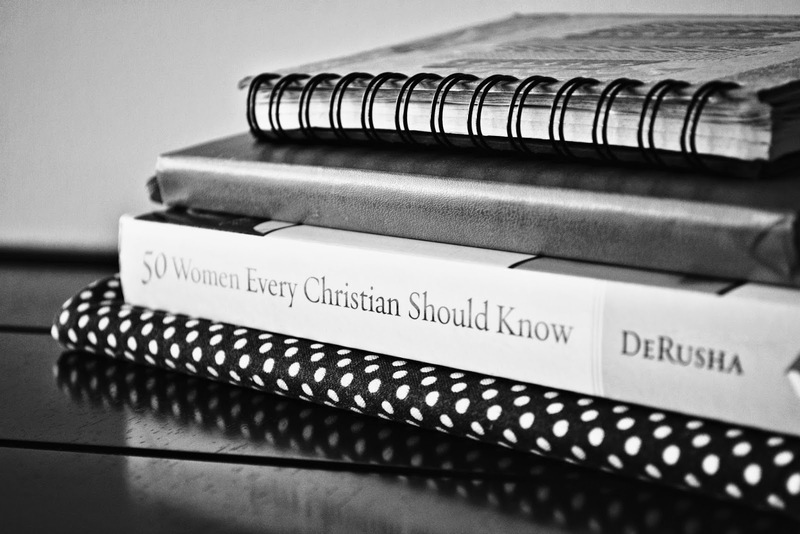 i am reading this incredible book that you have probably heard of by now, 50 Women Every Christian Should Know by Michelle DeRusha. i don't know if Michelle intended for this book to be read with a highlighter in hand, poured over and studied, but that is what's happening here. these women are true heroines of our faith, Christian women pioneers, and i only wish i knew about them sooner. they weren't taught about in any history class i took, and most of their names aren't familiar to me at all. but wow, i am so thankful now to know about them and their stories- heartbreaking, triumphant, and inspiring. these women lived hundreds and hundreds of years ago. it completely amazes me that sitting here in 2014 i can read about the life of Hildegard of Bingen, how she interpreted God's word, experienced supernatural visions, and obeyed God, despite the cost...in the twelfth century! times were very different then. but God was the same. as i read about each woman, i imagine their faces, their homes, their day-to-day lives, i'm overcome with gratitude that these stories are knowable. these women aren't famous and they didn't necessarily do anything outstanding to earn them a place in Michelle's book. but who they are and the impact they made on their community for God's glory - just in their daily choices- is what makes them godly women worth remembering. a commonality i'm finding among the 50 women, other than bold faith and courage, is that they wrote. they journaled. they kept a diary. they logged their days. they wrote their stories down as they were happening. were they thinking "i should write this down because some day my life will be worth talking about!" no, i'm guessing not. 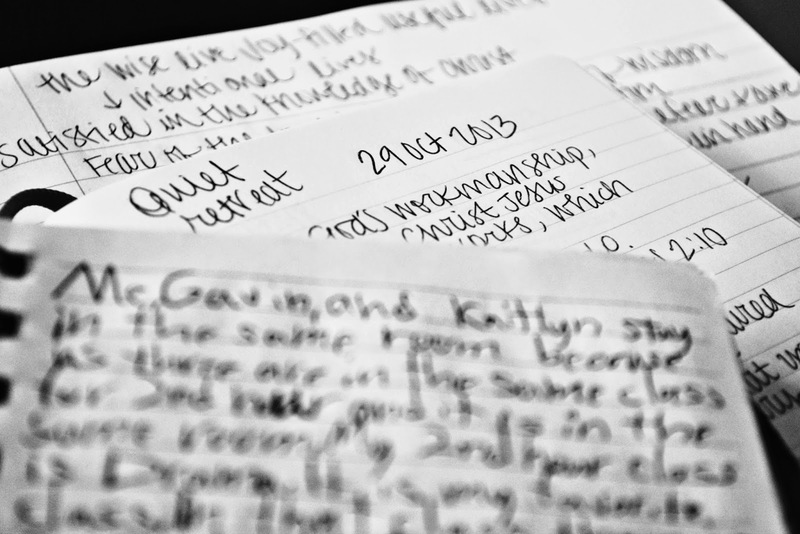 they wrote because it seems as though it was their way of working through struggles, keeping track of their days, processing their thoughts, prayers, and their faith-walk, and communicating with God. Florence Nightingale, in the 1850s, kept a notebook constructed out of scrap paper and old letters. she recorded what she prayed for, and God's answers. she kept a diary when she traveled and wrote about her dreams. Phoebe Palmer was a prolific writer, pouring her heart out on pages of her journal, in letters, and eventually published books. we know about Elizabeth Fry's very personal struggles to find her faith-footing in 1811 because she wrote about them in her journal. in the 1600s, Anne Bradstreet wrote poems, a private memoir, and a lengthy, heartfelt confessional letter to her children documenting her testimony of hardships in her faith journey, and offering them hope for theirs. page after page, story after story, i'm able to read and know because these 50 women wrote. not for their fame, but for their own sake, as they persevered. we know who they are and why they lived that way. we learn big parts of their stories because they took the time to write. this encourages me. when i log in to blogger.com and write about our first day of homeschooling or a recipe our family loves or how God's word is speaking to me in a certain season...i'm writing in the same way they were writing. i'm not thinking about what my words will mean or what my stories will read like 800 years from now. i'm writing to document, to work stuff out, to share, confess, and to persevere. my 9 year old daughter keeps a journal. from the time she could make out the letters, she's been a diary-keeper. 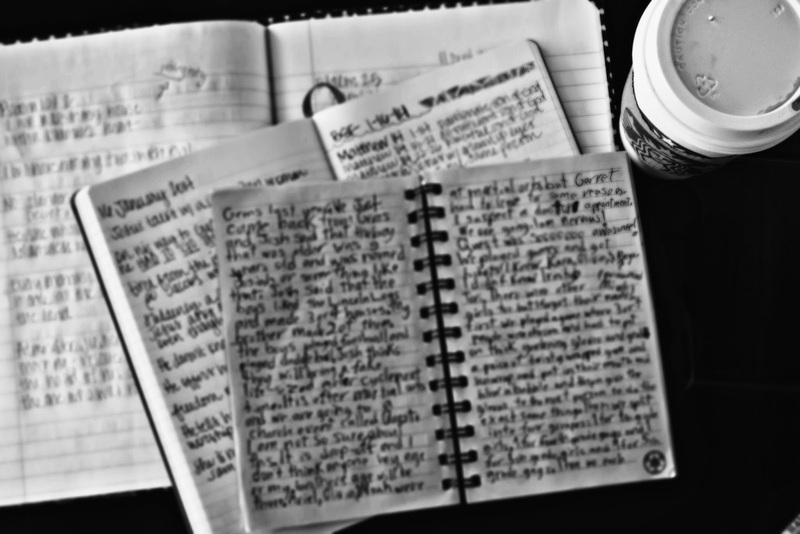 she writes almost every day, documenting what we do, how she feels, her dreams, her prayers, her struggles. (and lots of "OMG!") she doodles. she writes. 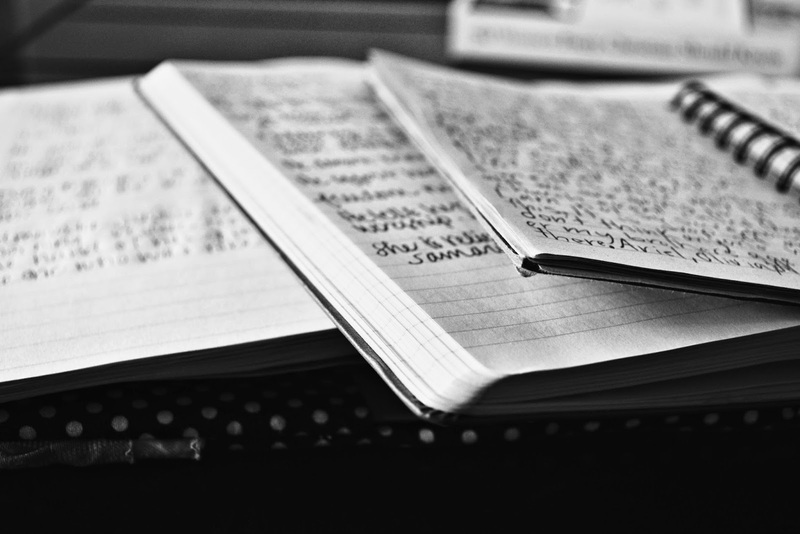 she tells her own story in her own words, she logs her days, she writes. it's fascinating, isn't it? consider this: the same God these 50 women prayed to, wrote about, dedicated their lives to, is the same God i write about on my blog and the same God my 9 year old writes about in her little diary! i want to keep writing out our days, writing out my faith-journey, my personal stories and reflections, my prayers and my dreams. not to make a list or be famous or known in that way. but because years from now, i want my children and grandchildren and great grandchildren to know who i was and why. 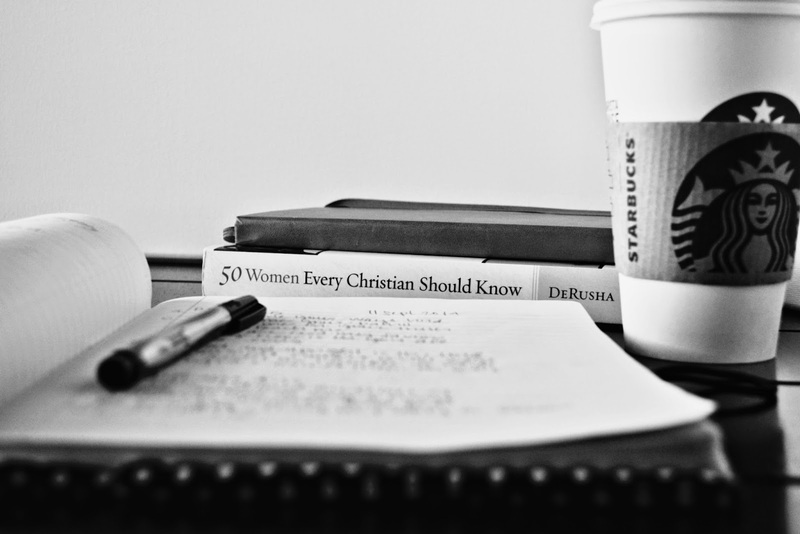 50 Women Every Christian Should Know is fast becoming one of my favorite books of all time. i'm learning so much about women who were faith firecrackers of their day, and the legacy they left for women and Christians and humanity. not only do they inspire me to keep living for Jesus, they also encourage me to keep writing.